Teri Carter, MA, RSMET, BCTMB, CMT, CC, is deeply immersed in somatic practice. 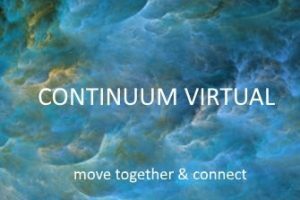 She has delved into the brilliance of Continuum since 1997, as well as diverse forms of Dance, Meditation, Mindful Movement, and the Healing Arts for over 35 years. Teri is drawn to exploring the mystery of the body and movement, particularly as a portal into direct experience of health, creative flow and embodied performance. Her inquiry involves awareness that is cultivated through fluid movement, sound, stillness, and sensation that supports conscious embodiment as a way of life instead of something that we do sometimes – a way of resonance. Teri has touched thousands of lives through her somatic mentoring and bodywork practice. She leads workshops internationally in Continuum, Somatic Movement, Dance, and Healing Arts. Honored to be an Authorized Teacher and the current Director of Continuum Movement®, Teri co-taught with Emilie Conrad in the Somatic Performance Lab Intensive (2007-2012), served as Emilie’s substitute teacher in the Continuum Studio 2007-2014, was a member of Emilie’s Continuum Movement Theater Ensemble, and created the dance piece “Magic of Ordinary Moments” honoring Emilie that has been performed by Continuum teachers across the US. She gratefully acknowledges the courage and vision of her mentors, notably: Emilie Conrad of Continuum, Bonnie Bainbridge Cohen of Body-Mind Centering, Internal Martial Arts Masters Su Dong Chen and Bruce Frantzis, Steve Paxton and Nancy Stark-Smith of Contact Improvisation, and Simone Forti of Post-Modern Dance. Teri’s rich background provides a core foundation for exploring the mysteries of the body’s dynamic and refined movement potential from tissue to cellular realms that support health and conscious embodiment. Teri is a Body-Mind Centering® Practitioner, co-teacher of the online Continuum Virtual intensive series, and founder of SOMAfest, Somatic Summit, Somatic Movement Arts training program, and Somatic Equine Arts. With a BFA and Masters in Dance, she founded LA’s Intention Dance Theatre and NYC’s former Mobility Junction Dance Company of mixed physical ability artists. Teri’s credentials include past president of ISMETA and on the editorial board of the Journal for Dance and Somatic Practices. 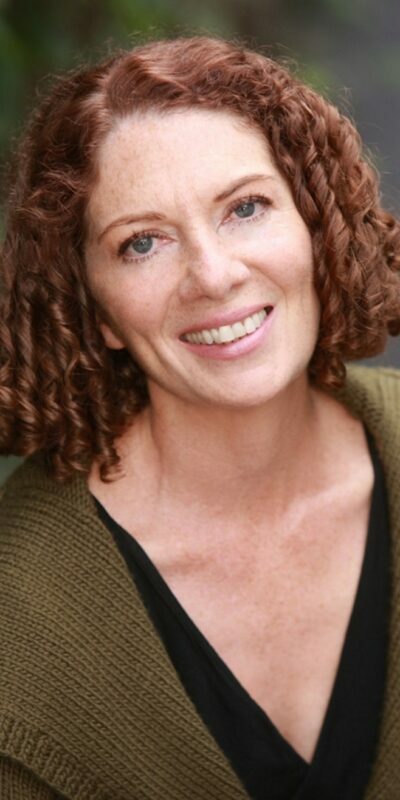 She is a Board Certified Therapist of Massage and Bodywork with NCBTMB, a Teaching Assistant for Cranial Sacral Therapy with the Upledger Institute, Chi Gung Instructor with Energy Arts, a Life Coach with the Life Purpose Institute, and Animal Communication-Body Balancing practitioner with the Gurney Institute. Her in-depth studies include Chi Gung-Tai Chi-Meditation Taoist practices, Therapies of Myofascial Release-Visceral Manipulation-Reiki, and Somatic Dance methods Laban/Bartenieff Movement Analysis, Authentic Movement, Contact Improvisation, and DanceAbility. Teri is available for private sessions in-person and online. She leads classes – workshops – training programs for somatic practitioners, movement and dance artists, health professionals, corporate clients, and individuals from all walks of life.